Many years ago, when I was just a "cub", I found myself wandering through a very dilapidated section of my local library. There were dusty books with the bindings missing, books missing whole sections of pages, and a bin filled with torn and crumpled comic books. Being the ever-curious child I was, I headed for the plethora of comics, and laid my hands upon a very abused copy of ElfQuest...and I was never the same after. The Wolfriders, the main cast of the ElfQuest comics. I was often mocked and ridiculed as a child, be it for my large glasses, my hand-me-down clothing, or for not typically fitting in. So growing up, often my closest friends where the characters in my books. As silly as it sounds, I became a part of the world of Two Moons whenever I read those books. I connected with the characters (huntress Nightfall the most), I learned to hunt and howl, to stand up for and be myself, to always try and find the best solution to my problems, and to love and be ever loyal to my "pack"...be they furry or of my same flesh. However, with the comic being over 30 years old, you can imagine my dismay when the closest friends I had as a cub simply stopped, trapped in time where they were. I went all through my late middle school, and high school, years without any new stories from them...though my love for them never dimmed. I drew them, wrote stories about the adventures they could be having in their "holt", and even cosplayed a few in my older years. During my first two College years, my friends and their quests stayed mostly in the back of my mind, as I was working and studying to be an Animal Science major. However, one very fateful day, I was again browsing a library, though it was the one at my new four-year University...and there on a pile of books to be thrown away, was the same issue of ElfQuest I had stumbled upon as a child. The creators of the comic series, Richard and Wendy Pini had been trying for countless years to get their ink creations to come to life in a movie. Though the plans had been bounced around a few times, no major studio had ever fulfilled the project. 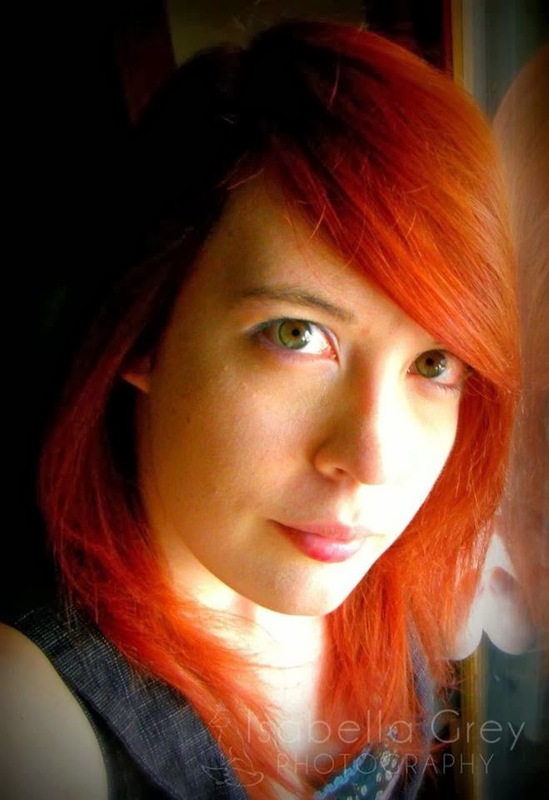 So, Wendy and Richard handed the project over to two very talented Indie film-makers: Stephanie Thorpe and Paula Rhodes. 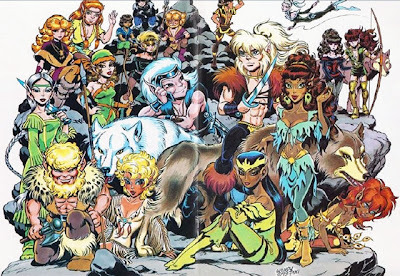 These film-makers have put out one ElfQuest themed movie, months before the Wendy Pini made this announcement: "With their deep love and understanding of the property, they represent a new direction for 'ElfQuest. New creative energy and new connections in the larger media." You can see their movie below. My eyes see with joy at this latest announcement, and I couldn't be happier to know that the characters I love so dearly will finally come into their own, and make it to the big screen. Did I mention Wendy is writing and drawing the chapters of the Final Quest? With new pages being published online every Monday? Shade and Sweet Water! For those of you who don't know, or understand, the words I threw in this post here's the explanations. Cub - The Wolfrider tribe of elves call their children cubs. Pack - The Wolfriders are call such because they live with and ride wolves. They call their tribe a pack, and their children cubs because of this. Holt - The Holt is the home of the Wolfriders. It usually comprises a very large tree with many dens in the trunk of that tree. Most often located in a cool and damp forest. 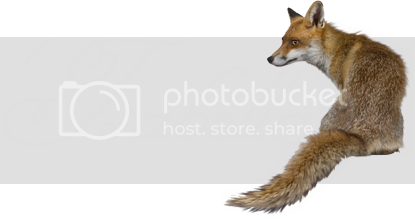 All rights for images and videos belong to their respective owners, Wendy and Richard Pini, as well as Stephanie Thorpe and Paula Rhodes. Thanks for the post! My story is similar, but it was my science teacher in middle school who put it in my hands, though it was out of order. She only had the first two novels, and when a friend of mine had all of the main quest, I was thrilled. Then I found the website. Now I'm able to share it with all my friends, who are just as hooked. Thanks for sharing your story. Oh, and Wendy Pini must love it too, since she shared this page, which is how I found it! How exciting to see this happen! You must be so over the moon thrilled! Ive always felt that the characters in my stories were real too! You can't tell me books don't take you to another dimension! Sounds very exciting. I wish I had read more when I was younger. It wasn't until after College that I really began to read for fun and connect with characters in books! I enjoy books that I can really identify and connect with the characters. I have always been an avid reader.It's fun to see favorites become movies! I enjoyed reading when I was younger and encouraged my granddaughter by reading to them, and having them read to me. They both Love reading now and always have a book on hand. That is exciting for yo! I know when a movie comes out thatI was the fan of the book... I get SUPER excited!